Saturday marks one year since the the tragic shooting at Sandy Hook Elementary School in Newtown. Today, a local group will hold a vigil in Washington, D.C. to remember victims of gun violence. 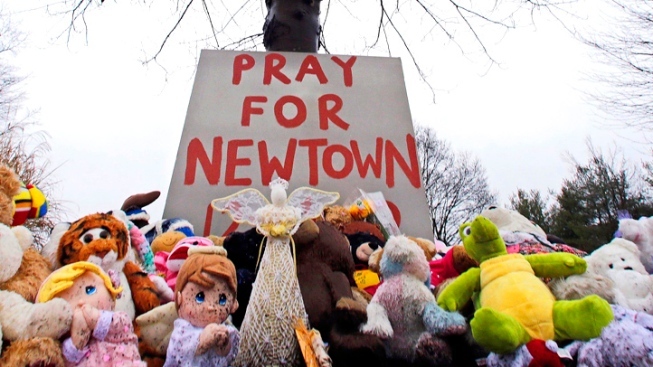 The Newtown Foundation and the Washington National Cathedral will hold a vigil. “Our community is committed to transforming our tragedy through actions rooted in love, compassion, and service to others. Newtown has respectfully asked the media not to visit or to contact our community during this difficult time. As such, we are grateful for the opportunity to memorialize all of our loved ones at such a historical and majestic location in our nation’s capital,” David Ackert, chairman of the Newtown Foundation, said in a statement. On December 14, 26 students and teachers were killed in a mass shooting at Sandy Hook Elementary School. The vigil will be held from 3:45 p.m. to 5 p.m.